The Berejiklian Government’s train timetable – introduced a year ago despite warnings from transport experts - has been confirmed a failure in a new report from the state’s independent watchdog. Despite protestations by Transport Minister Andrew Constance to the contrary, the NSW Auditor General found that punctuality on Sydney’s trains fell when the new timetable was introduced exactly a year ago. Trains were running on time on 93.8 per cent of services prior to the introduction of the new timetable but fell to 89.8 per cent in its aftermath. “Prior to the timetable change, three out of four train lines met the punctuality target. After the timetable change, only one train line out of five met the punctuality target,” the Auditor General wrote. Yet the Transport Minister insists his new timetable is a success despite delays, periodic chaos and meltdowns. He went live with the timetable in late November despite not having enough drivers or contingency plans in place to deal with unforeseen events. The Auditor General’s report also found Sydney’s commuters expressed their frustration by complaining more. In 2017/18 there was a 29 per cent increase in complaints about Sydney’s trains. I have been sounding the warning for several years now about the impact of the redevelopment in and around Green Square. It is one of the largest urban renewal projects ever undertaken in this country and by the time it is finished, the population in just three square kilometres will be a jaw dropping 61 000. It will be the most densely populated area in Australia, bar none. It is approaching a crisis point. Tuesday morning, last week, I had a constituent send me a photo of Green Square train station. It was extraordinary. There were queues of people backing up off the platform, and up to the station mezzanine, where they were being prevented from descending to the platform by station attendants, because even the platforms were over capacity. Not only are the trains too full, but now the platforms can’t even accommodate the passengers, and they are being prevented from even entering the station. But Green Square is nowhere near finished. There are hundreds more buildings yet to be finished and tens of thousands of more residents to come, some in the very near future. I have always held the intellect of this government in very low regard, but even this astounds me. Make no mistake: the NSW Liberals, over eight long years, have done this themselves. When Premier Keneally removed the station access fee at Green Square and Mascot stations that line was jokingly referred to as the “ghost train”. Has no idiot understood that you just can’t keep increasing population density, even on a transport route, if you cannot increase the capacity of the transport network? I’ve been calling for a moratorium on further population and density increases in Green Square for five years, but the NSW Government has just ignored me. Now we are going to pay the price. There are no new roads, the buses and trains are full, and there is no way to increase capacity. Sydney, under the NSW Liberals, is slowly suffocating itself. Everywhere you go in Sydney, but especially in my electorate, apartment blocks spring up, seemingly overnight. Every block in Sydney is being transformed from a shop or a terrace house into a multi-storey unit development. It is time for this madness to stop. The cost of the Premier’s three key infrastructure projects has doubled thanks to the Berejiklian Government’s waste and mismanagement. The bill for Sydney light rail, WestConnex and a new road to the port and airport has gone from a combined $11.6 billion to $21.7 billion, according to the Liberal State Government’s own figures. The figures lay bare the full extent of the Government’s waste, mismanagement and wrong priorities as children across the state are forced to study in a record number of demountables and elective surgery waiting lists mount in the state’s hospitals. In eight years the State Government is yet to cut a single ribbon on one of its own major transport projects. The cost of the Premier’s pet project, Sydney Light Rail, has ballooned from $1.6 billion to $3.1 billion now that the Government is facing a $1.1 billion lawsuit from its own contractors. The newly-privatised WestConnex is yet to be finished and is at least $6.8 billion over budget. In order to minimise costs the Premier and her WestConnex Minister Stuart Ayres have scaled back the size of the project by carving off roads and handing them back to the roads agency to finish. The Sydney Gateway, a road to the Kingsford Smith Airport and Port Botany, which was originally part of WestConnex, has blown out by up to $1.8 billion. In contrast, NSW Opposition Leader Michael Daley will give the community and experts a greater say on major infrastructure projects. NSW Labor’s Public Planning Inquiries will end the secrecy, deals and bungles that have hit the Berejiklian Government’s infrastructure build. Mr Daley said; “This Premier and her government have gouged NSW taxpayers $21.7 billion for three infrastructure projects without delivering a single thing. “This government is bloated with the proceeds of its sale of the state’s electricity and other assets. Mr Daley said his plan would end the era of Berejiklian Government secrecy and bungles. “It will bring to an end eight years of the Liberal Government’s secret deals with developers, toll road operators and stadium builders,” Mr Daley said. “It will prevent wasteful disasters like the Sydney light rail and vanity projects like stadium rebuilds,” Mr Daley said. If elected as Premier next March, Mr Daley will initiate Public Planning Inquiries (PPIs) into all infrastructure projects valued at $1 billion or more to ensure proper planning processes are followed and communities and independent experts are properly consulted. Unlike the current Liberal planning process, PPIs would ensure that no approval for a project is granted or work commenced before a full business case is provided and independent experts have assessed the project. A PPI will examine the feasibility of all options and do so in the full glare of the public, calling witnesses to give evidence and disclosing reports and proceedings. PPIs would avoid planning failures of the past when, for example, bureaucrats were instructed not to examine public transport options for the southern suburbs of Sydney, which resulted in an inadequate first phase of the F6 motorway instead. PPIs will ensure there is not a repetition of projects like the Sydney light rail disaster, which proceeded despite advice to the contrary by independent experts, Infrastructure NSW, and Infrastructure Australia. Similarly, the multi-billion dollar Northern Beaches Link tunnel promised in the heat of a by-election before any thorough appraisal was done. Mr Daley said; “For too long decisions that affect the public have been made behind closed doors. “This has to end. I want to bring transparency back to the planning for Sydney. “The developers and builders get to have their say – so why not communities and independent experts. “Every project the Government builds is paid for with taxpayers’ money. Taxpayers are the ultimate owners of these assets and have every right to have their say. “I’m a great believer in consulting the experts and there is no better authority on what benefits the community than the people who live there. It’s time that we allowed the public to come along and have their say. “People should feel that they have a say in how their money is being spent n their communities. We can no longer ambush communities like this government has done on major projects like the light rail, NorthConnex or WestConnex. Labor Leader, Michael Daley, today announced a Labor government would waive the $58 fee for NSW birth certificates. This will give around 100,000 babies and their parents a bit more to spend on the essentials. If elected next March, a Daley Labor government would add one free standard birth certificate to other initiatives that help out with the rising cost of living. After eight years of the Liberal Coalition Government, families are doing it tough. Power bills have risen by 59 per cent since 2011 and Western Sydney motorists using the M4 are paying more than $2,000 a year in tolls. Mr Daley, a father of four, recognises that state governments can and should do what they can to help families balance the household budget. 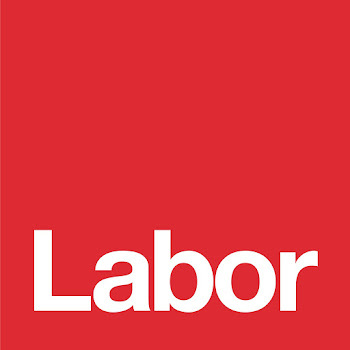 The Parliamentary Budget Office forecasts 99,000 birth registrations for 2019/20, the year in which Labor will implement the policy. Ditching the fee will help families of newborn children defray a small cost at one of the most costly and intense times of their lives. Free travel for school children. The policy will cost $16.8 million over the forward estimates and has been verified by the independent Parliamentary Budget Office. "I believe governments should be about making people's lives easier. "We are not here to make a buck off you but to help you get ahead in life. "I know that when Christina and I had our little ones every dollar and cent helped. We have achieved a significant victory over property developers, with recent changes to planning laws introduced, designed to prevent overdevelopment in residential streets, and “break the business model” of exploitative boarding houses. After a two and a half year campaign by me, the Affordable Rental Housing State Environmental Planning Policy (ARHSEPP) was quietly amended in June to include a requirement for each new boarding house to provide half an off-street car space for each bedroom. Previously, a parking space only needed to be provided for every five bedrooms. Developers are using the AHRSEPP as a backdoor method of increasing densities in low density (R2 Low Density Residential Zones) areas to avoid Council’s planning rules. I believe this change will drastically undermine their business model. Since 2009, Randwick City Council has approved more than 500 boarding houses under the ARHSEPP in close proximity to the University of New South Wales, supposedly to meet the demand for affordable student accommodation. The State’s planning laws made it practically impossible for councils to refuse applications of this nature, even if Council believed that the developments were inappropriate. A survey conducted by Randwick City Council in 2015 revealed that the rents charged were anything but affordable, with a single bedroom as small as 12m2 in a boarding house costing between $390-$450 a week. By comparison, the median cost of a one bedroom private dwelling in the LGA was $480 per week. Those costs are no doubt considerably higher in 2018, and are wildly out of reach of the ordinary university student’s budget. This is welcome news for residents in the Kensington and Kingsford area who have put up with developers running riot in their streets for far too long. This chance will give the power back to local Councils to decide whether they want boarding houses in their area, or not. It’s no small feat to convince a Liberal Government to take a step back from their overdevelopment agenda, so I’m grateful to the Minister for listening to my suggestions. School children will be able to enjoy free travel on public transport under a Labor Government that is focused on putting the family budget first. Official department forecasts obtained under freedom of information laws reveal that the Berejiklian Government is set to charge children $44 million in transport fares in 2019-20. Labor’s Fair Fares policy will forego this revenue to abolish all charges for children under 16 years of age or while they remain at school. Labor recognises that the cost of public transport for children is putting increased pressure on families who are already struggling with higher power bills, tolls and a host of state taxes under the Berejiklian-Barilaro Coalition Government. Under the current rules primary school-aged children are eligible for free travel only when travelling to and from school, and if their home is more than 2.3 kilometres away by walking, rising to 2.9 kilometres for secondary school-aged children. Labor’s Fair Fares policy recognises these restrictive and arbitrary conditions make it harder for families, or those participating in after school or weekend sport. Free bus and train travel will also encourage children to use public transport more and ease congestion on Sydney’s already clogged roads. The free travel for school children initiative is in addition to Labor’s commitment to refund train fares for passengers for avoidable delays to their journey, and lowering the station access fee for the airport to $5. Ron Hoenig MP is the State Member for Heffron in the NSW Parliament. He was elected to Parliament at a by-election on the 25 August 2012. Prior to entering Parliament he was the Mayor of the City of Botany Bay, a position he held for more than 30 years. He was, and still is regarded by many as one of the most progressive Mayors in the Sydney metropolitan region. He is a barrister and prior to entering parliament was a Public Defender for the State of New South Wales. Ron Hoenig was born in Sydney and raised in Eastlakes, attending Eastlakes Public School, Daceyville Public School and The J.J. Cahill Memorial High School in Mascot.